This week our learning and connecting opportunities include an OSSEMOOC hosted twitter chat on Tuesday November 3rd at 8:00 p.m. (EST). New to Twitter chats? Here are a few resources that explain the basics. Our topic this week is learning through curation, and will use the #ossemooc hashtag. We hope you will take some time to join in! 8:08 Q1: Share something that you are currently reading for professional learning (book, blog etc.). 8:16 Q2: Share something that you learned on Twitter that was relevant to you. 8:24 Q3: What tool has worked best for you to curate information online? What did you like about it? 8:32 Q4: Share one tool that you would like to learn more about. 8:40 Q5: What is one thing that you would like to explore by the end of 2015? 8:48 Q6: Share with the group an event that you would like to attend virtually. (#hashtag or conference link). 5. A story about literacy centres. 7. Bloggers cafe with livescribe. 8. Ideas for parent engagement. On June 2, Aviva Dunsiger (@avivaloca) joins us at 8:00 EDT to share her journey in engaging students and parents through social media to maximize her classroom learning community opportunities and deepen the experiences. Join the online presentation and collaboration space any time after 7:30 p.m. EDT by clicking [here]. Alternatively, you may join the internet radio broadcast. 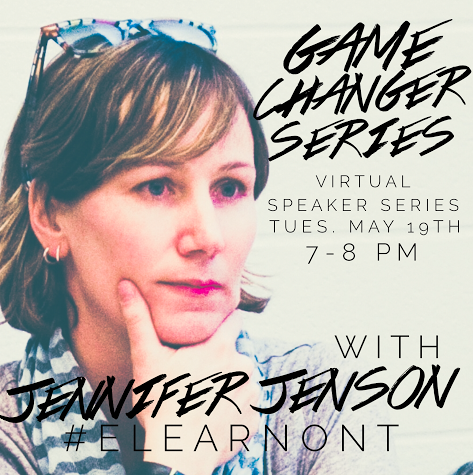 For the May 19th OSSEMOOC session, we are suggesting that you participate in the virtual learning opportunity with Jennifer Jenson at 7 p.m. EDT. The session may be viewed at . Today we look at how we can connect with other educators by taking advantage of online learning opportunities. If you are a connected educator and leader, you will often hear of opportunities to learn online through, for example, MOOCs, webinars, internet radio, and Hangouts on Air. Taking part in these learning events allows us to connect through the chat or by taking a leading role, and often these connections lead to ongoing conversations, blog posts, and other forms of sharing. Tonight, OSSEMOOC is offering and opportunity to learn about digital storytelling with two of the best in the “business”! Join us here at 8 p.m. EDT for a fun look at digital storytelling. Our group task, and your challenge for today, is outlined here. Bring your phone or tablet, or do the task in advance, but be sure to participate! Join us at 8 p.m. EDT on May 12 for this session. We are pleased to share the resources from our internet radio broadcast and twitter chat with Ron Canuel last night. Download the podcast [here], and the twitter chat has been captured in Storify. Keep the conversation going at #ossemooc. As a courtesy reminder there will not be an OSSEMOOC open mic session May 5th due to schedule complexities. We encourage you to extend your personal learning through other self directed approaches. We look forward to you joining us on May 12 when Alan Levine @cogdog and Darren Kuropatwa @dkuropatwa share their collaborative work around digital storytelling. On Tuesday April 28th, we welcome guest Ron Canuel from the Canadian Education Association (CEA) as we discuss the importance of ‘courage‘ in education leadership. Please note: Due to travel complexities we will be using a different approach for our session tonight. Tune in to our internet radio broadcast at 8:00 EDT to listen to Ron’s presentation. Our discussion will happen through a twitter using the #ossemooc hash tag.